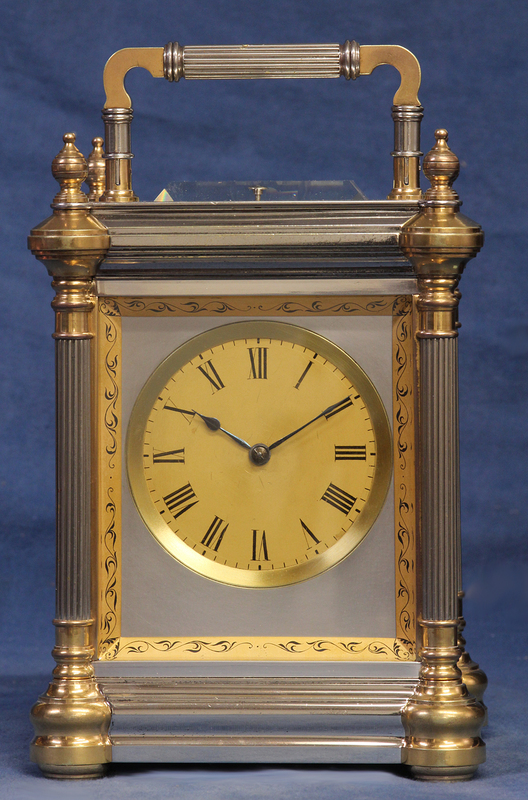 c.1885 French Giant Gilt and Silvered Bronze Quarter Striking Carriage Clock. 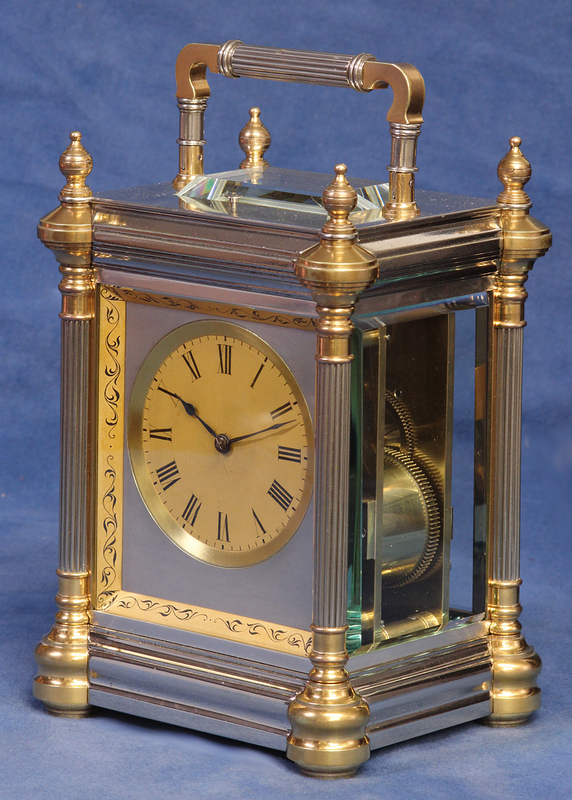 The massive silvered and gilt-bronze case has exaggerated rounded corners top and bottom, reeded columns, four large finials, a shaped hinged handle with a reeded center and heavy beveled glasses. 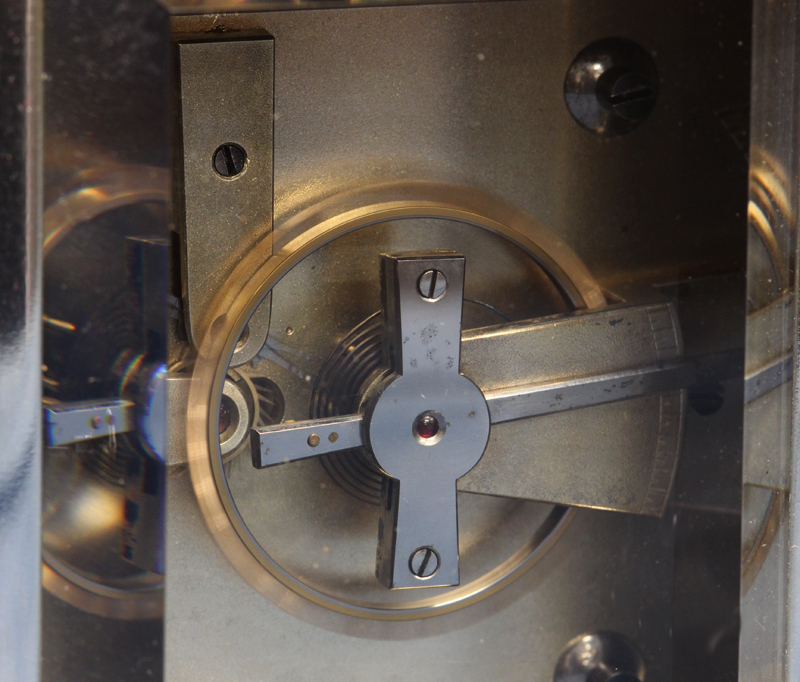 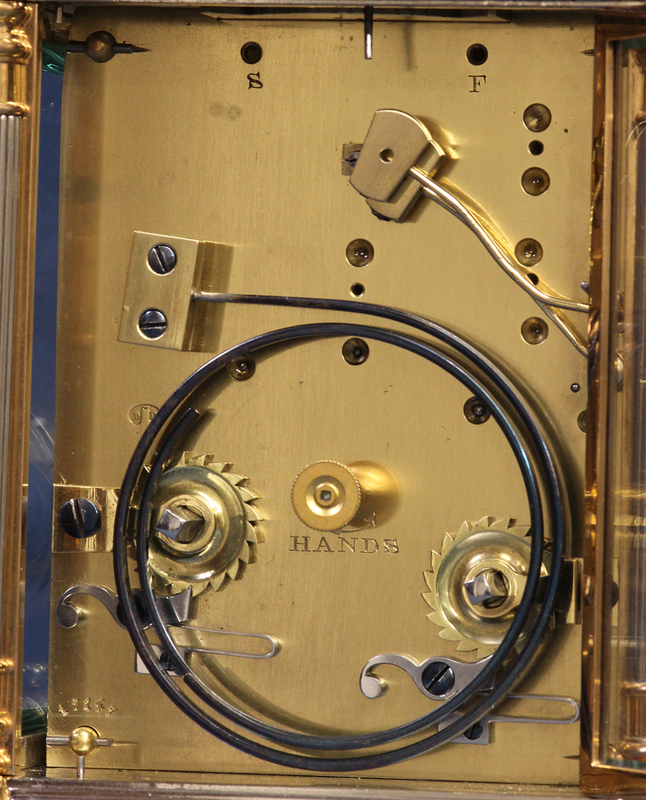 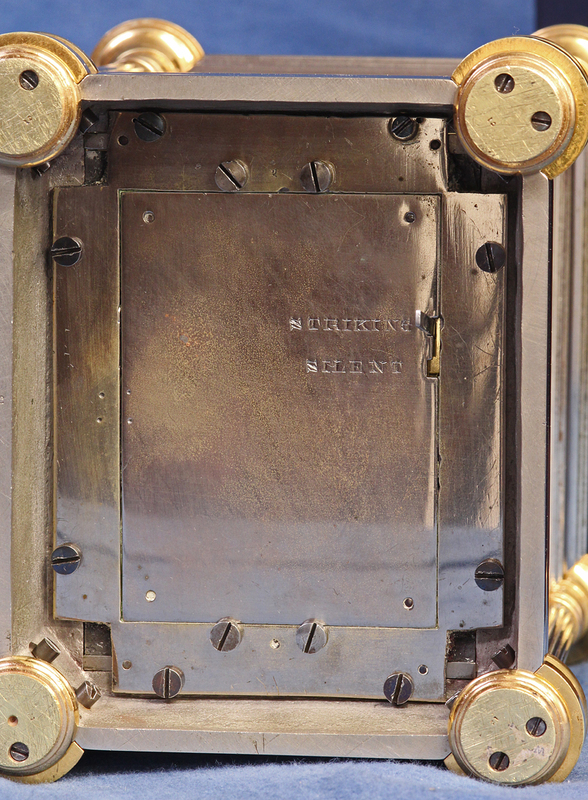 The massive eight-day time and quarter striking movement has heavy plates, nicely cut wheel work, Geneva Stops to both the time and strike barrels, a large lever platform mounted above, a push button repeat, is stamped and numbered by the maker, ‘Drocourt’, ‘17,147’, is wound and set off the backplate, has a two position lever out the bottom and strikes on two large coiled gongs. 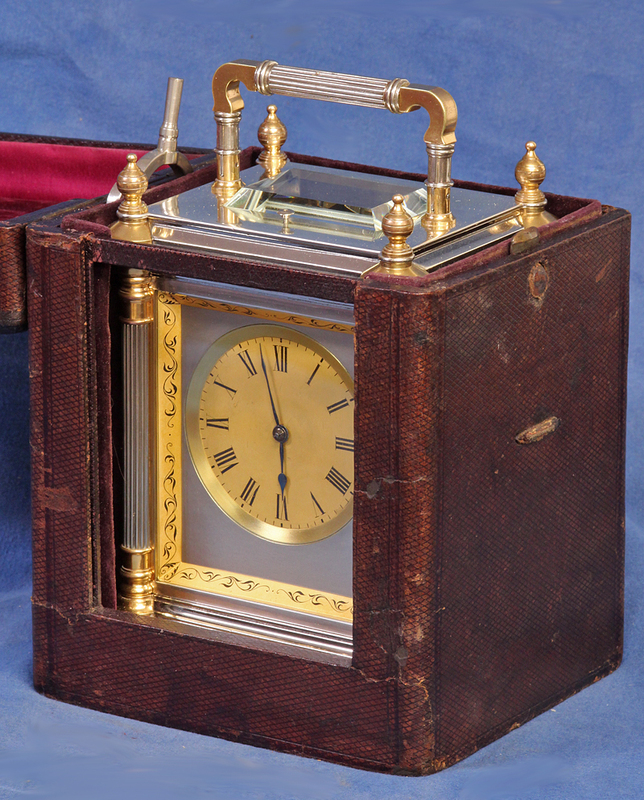 Still retains the original carrying case and numbered two sided key. 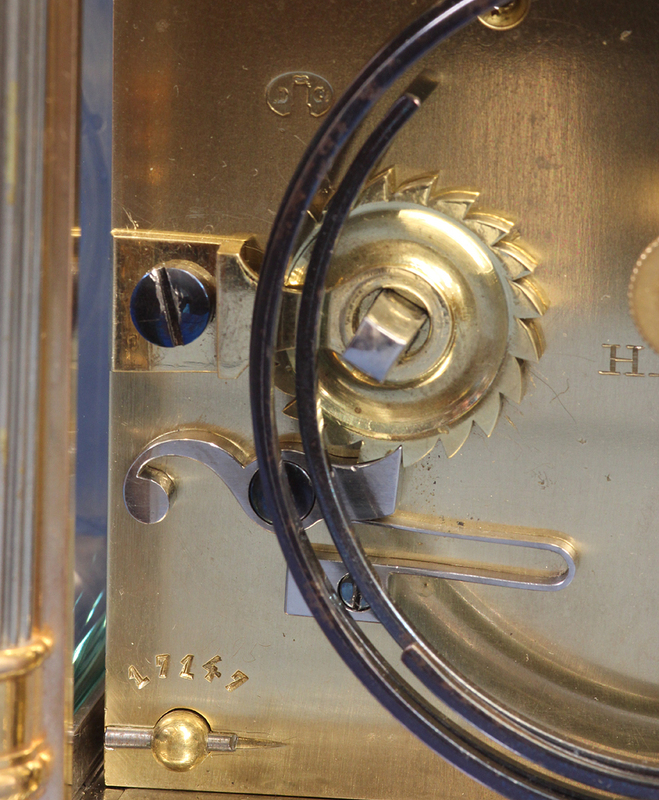 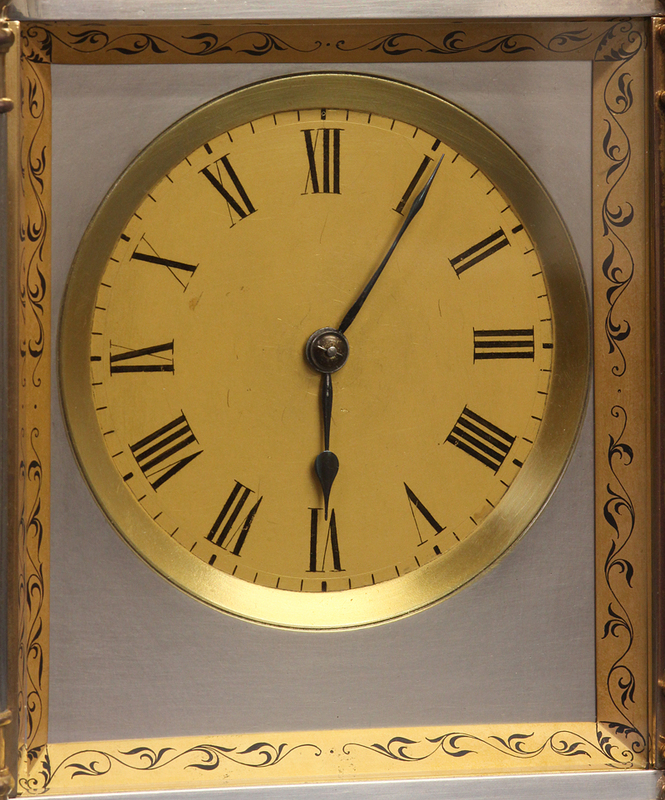 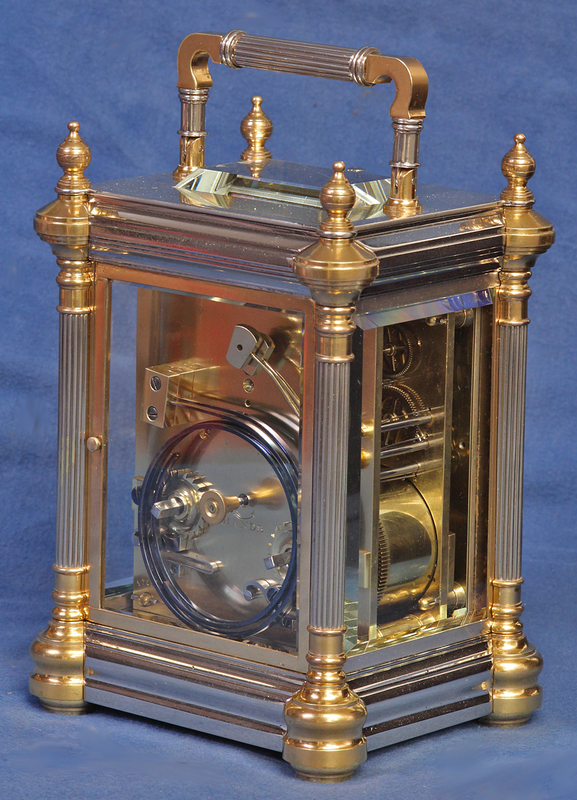 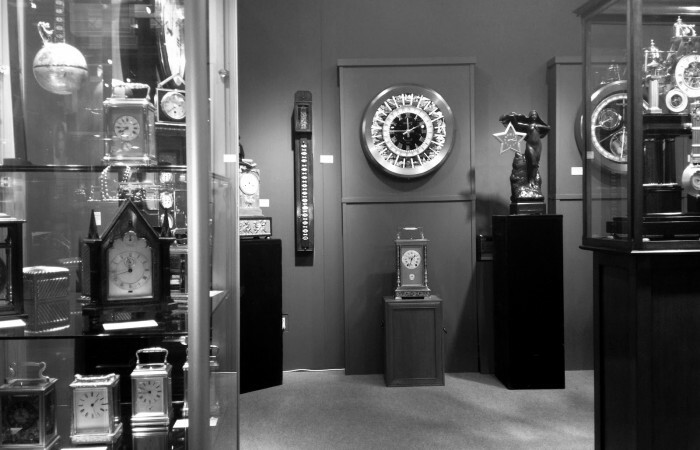 For a more detailed description of Drocourt see Carriage Clocks by Charles Alix, pg.438.